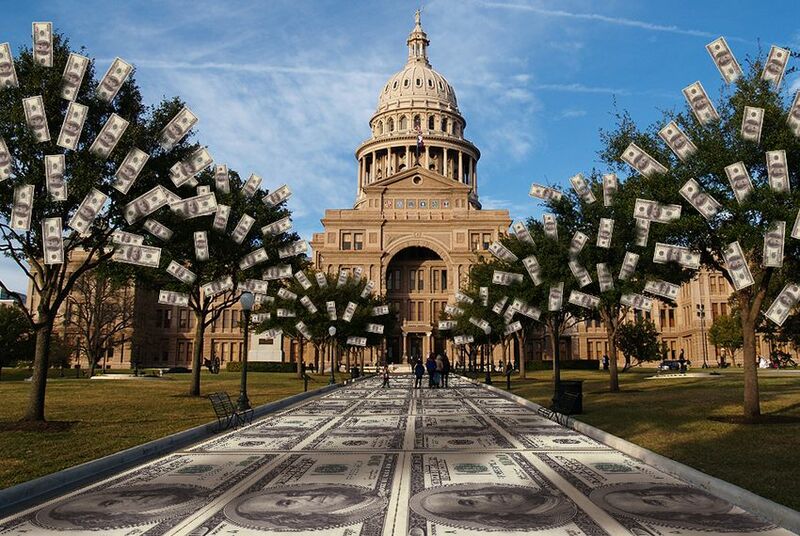 Donors pumped a total of $67 million into state-level campaigns from the beginning of 2017 through Jan. 25, and a whopping $57 million of it, or about 86 percent, went to GOP candidates, according to a Texas Tribune analysis. Gov. Greg Abbott got nearly a third of all the political money raised since the start of last year. Jim Henson, director of the Texas Politics Project at the University of Texas at Austin, said the numbers underscore the degree to which “the Democratic Party barely exists” as an organization with resources. Democrats haven't won a statewide race in Texas since 1994. Next was Texans for Lawsuit Reform PAC ($1 million), followed by Texas Right to Life PAC ($508,385), tax consultant Brint Ryan-associated Ryan Texas PAC ($360,000), the Austin lobbyist firm's Hillco PAC ($339,000) and the Border Health PAC ($306,000). The Tribune's analysis covers contributions reported so far in the 2018 election cycle, which includes campaign receipts from Jan. 1, 2017 through Jan. 25, the last day contributions were reported in the most recent campaign filings. Loans were not counted. Hillco Partners, Gulf States Toyota and the Texas Dental Association have been financial supporters of The Texas Tribune, a nonprofit, nonpartisan news organization that is funded in part by donations from members, foundations and corporate sponsors. Financial supporters play no role in the Tribune's journalism. Find a complete list of them here.